Madeleine Peyroux, MainArtist, ComposerLyricist - Bill Wyman, ComposerLyricist Copyright : ℗ 2011 Pennywell Productions, INC., under exclusive license to Universal Music International B.V.
Madeleine Peyroux, MainArtist, ComposerLyricist - Bill Wyman, ComposerLyricist Copyright : ℗ 2011 Pennywell Productions, Inc. Under Exclusive license to Universal Music International B.V.
Madeleine Peyroux, MainArtist, ComposerLyricist - Jenny Scheinman, ComposerLyricist Copyright : ℗ 2011 Pennywell Productions, Inc. 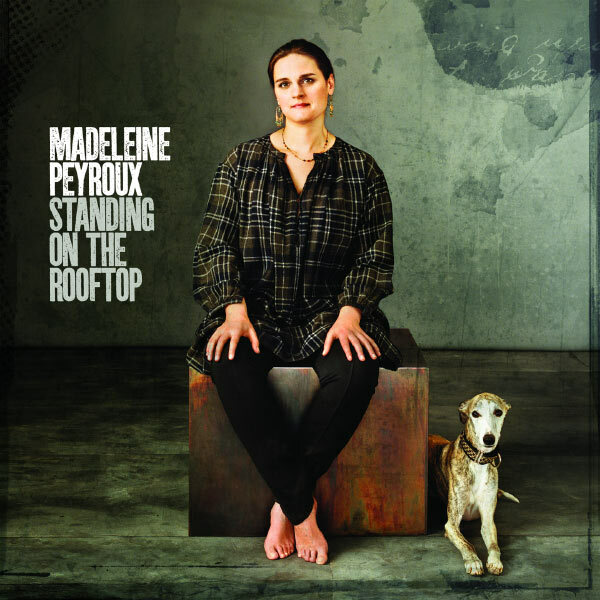 Under Exclusive license to Universal Music International B.V.
Madeleine Peyroux, MainArtist - Marc Ribot, ComposerLyricist - Wystan Hugh Auden, ComposerLyricist Copyright : ℗ 2011 Pennywell Productions, Inc. Under Exclusive license to Universal Music International B.V.
Madeleine Peyroux, MainArtist, ComposerLyricist - David Batteau, ComposerLyricist Copyright : ℗ 2011 Pennywell Productions, INC., under exclusive license to Universal Music International B.V.
Madeleine Peyroux, MainArtist - Dylan, ComposerLyricist Copyright : ℗ 2011 Pennywell Productions, Inc. Under Exclusive license to Universal Music International B.V.
Madeleine Peyroux, MainArtist, ComposerLyricist Copyright : ℗ 2011 Pennywell Productions, Inc. Under Exclusive license to Universal Music International B.V.
Madeleine Peyroux, MainArtist, ComposerLyricist - Jonatha Brooke, ComposerLyricist Copyright : ℗ 2011 Pennywell Productions, Inc. Under Exclusive license to Universal Music International B.V.
Robert Leroy Johnson, ComposerLyricist - Madeleine Peyroux, MainArtist Copyright : ℗ 2011 Pennywell Productions, Inc. Under Exclusive license to Universal Music International B.V.
Madeleine Peyroux, MainArtist, ComposerLyricist - Andy Scott Rosen, ComposerLyricist Copyright : ℗ 2011 Pennywell Productions, Inc. Under Exclusive license to Universal Music International B.V.
Madeleine Peyroux, MainArtist, ComposerLyricist - David Batteau, ComposerLyricist Copyright : ℗ 2011 Pennywell Productions, INC.
© © 2011 Pennywell Productions, Inc. Under Exclusive license to Universal Music International B.V.